starwars. 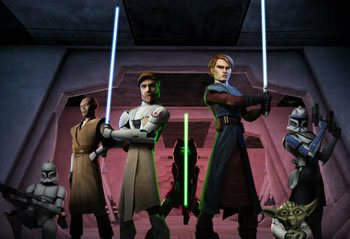 anakin, obiwan, ahsoka and others pose. Wallpaper and background images in the ster Wars: Clone Wars club tagged: star wars clone wars Jedi animated cool lightsaber. This ster Wars: Clone Wars photo might contain groene baret, speciale krachten, elite soldaat, speciale troepen, uniform, and regimentals.